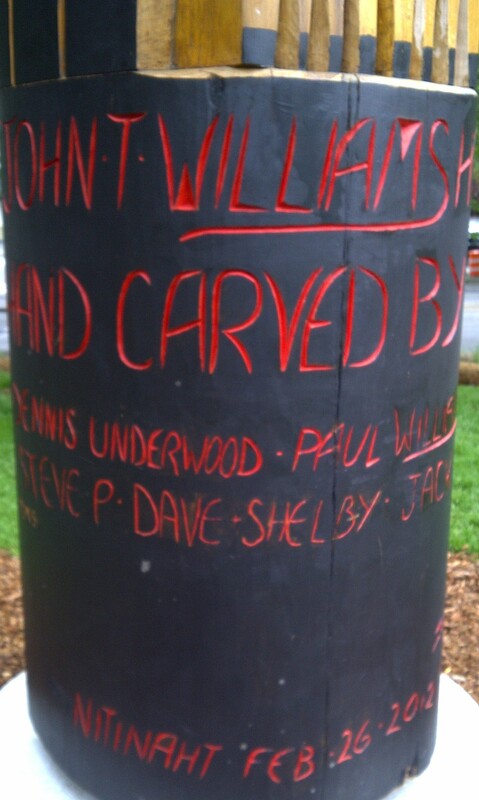 Three months after its dedication, I stand at the foot of the John T. Williams Honor Totem. The totem has bold lines and bright colors, and its significance fills my eyes with tears. There is no mention here of how Mr. Williams died. Rather than proclaiming that he was felled by a police bullet, the totem simply honors the man’s life and Ditidaht heritage, and calls to mind his talent as a woodcarver. This simplicity seems both appropriate and lovely. Three months later, Seattle still needs healing, but our progress is uncertain. Our Police Department is now negotiating with the US Justice Department over what policy reforms will follow a federal investigation that uncovered a policing pattern of excessive force. The negotiation is happening behind closed doors, but the leaked news is not encouraging. There is indeed an opportunity here for healing – the kind of healing that comes from righting what is wrong – but it’s too soon to say whether Seattle will truly embrace reform. The city’s future is not the only uncertainty on my mind today. I am saddened by the fact that it took me three months to see the Honor Totem. I missed its dedication because my work is shifting towards a heavy overseas focus with much travel. This is nothing new – it’s actually an opportunity to return to a lifestyle that is my ‘norm.’ But my reflection on First Nations’ history was born here in Seattle, during a season of time when I was unusually stationery. So I can’t help but wonder, what will happen to this journey now? As I travel, I will certainly see global indigenous rights issues with new eyes, and I will link my experiences to the questions of justice right here at home. Perhaps this path will morph in other ways that I haven’t yet foreseen. I am sure of only one thing: the Creator did not spark me on this journey just to see it crushed under the weight of an intense travel schedule. So I will continue my exploration, and I will persist in my soul-searching. This is what brings me here today honor Mr. Williams.